Making your very own dehydrated food has many benefits. If you use your food dehydrator regularly, it can save you money give you many health benefits. 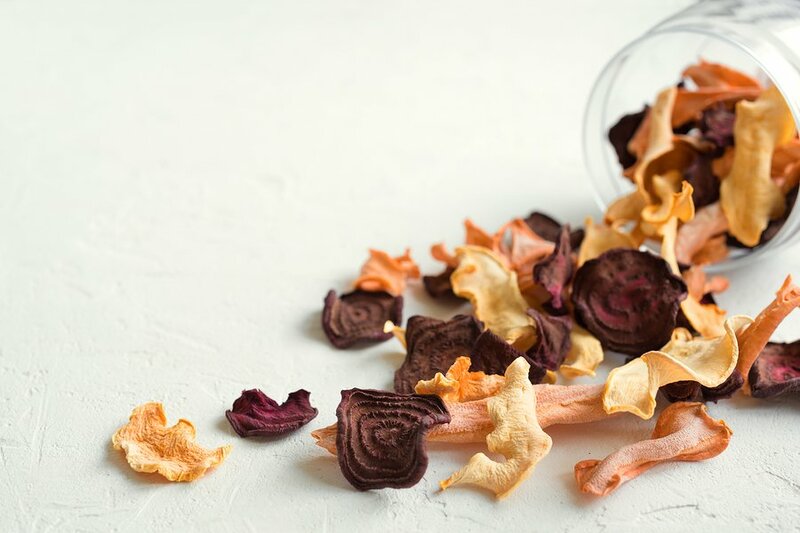 If you’re thinking about buying a food dehydrator, you need to be aware of the basics of making your own dehydrated food. If you are interested in dehydrating your foods but do not have the recommended equipment, it is possible to use the oven to dehydrate the foods using low temperatures for long periods of time. However, there are many advantages to using a dehydrator instead. The food will have a much longer shelf life. Small appliances that use very little electricity. Heating an entire oven to dehydrate your food is expensive. The correct food dehydration method depends on what you are dehydrating. Most of the foods don’t really need any preparation. However, it is recommended that you make sure your greens are blanched before putting them in the dehydrator. Blanching greens, briefly boiled and then plunged into ice water, will make them dehydrate more quickly and will also set the color so they don’t look faded and undesirable once they’re finished. When it comes to actually dehydrating, you should always follow the directions for the specific food dehydrator that you have. 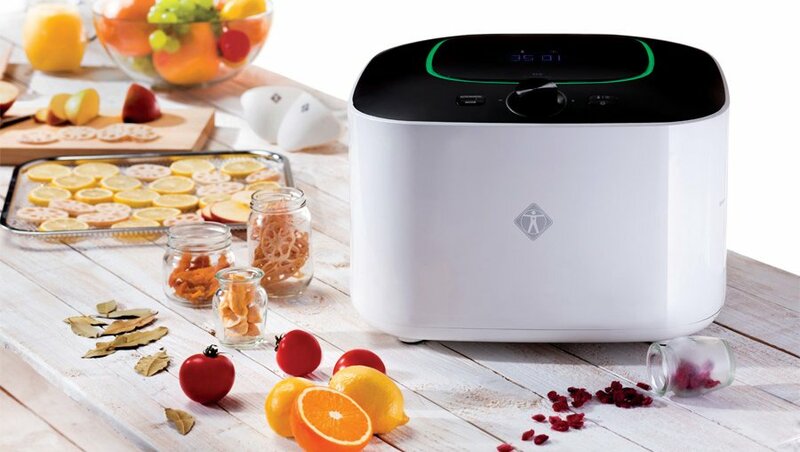 A food dehydrator benefits you by retaining the original vitamins, minerals, and natural enzymes of foods far better than other forms of food preservation or cooking. In fact, a study in Journal of the American College of Nutrition in 2005 showed dried fruits like dried cranberries, grapes, and plums had twice the amount of antioxidants as their fresh versions! Dehydrated food contains only one ingredient: the food you’re dehydrating. No need to worry about extra pesky chemicals or ingredients you can’t pronounce being added to it. Make sun-dried tomatoes or kale chips—without any added oils, preservatives, salts, or sugars— for a fraction of the packaged prices. Fruits and veggies are obviously staples on a plant-based diet and looking at dehydrated foods the majority of them are plants. 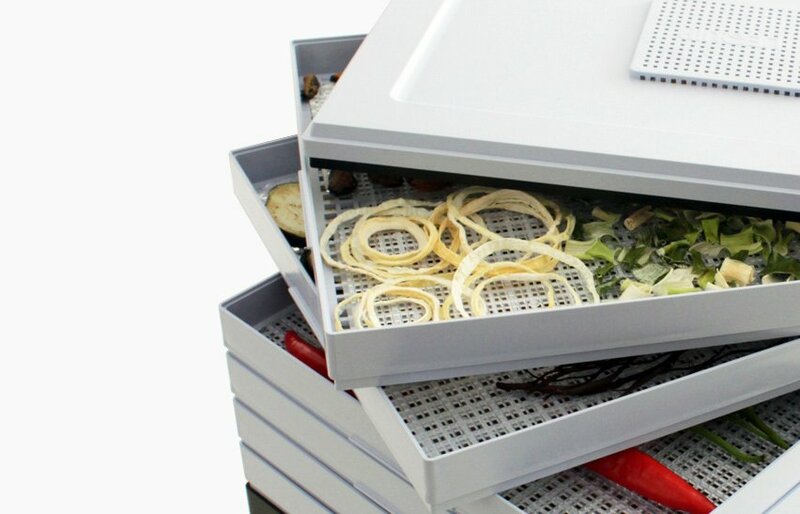 dehydrating extends shelf life so well, you can avoid ever having to throw out extra foods and eliminate unnecessary waste. You’ll be getting the most out of food you purchase. If you don’t have a dehydrator yet, there are some great ones out there to pick from. 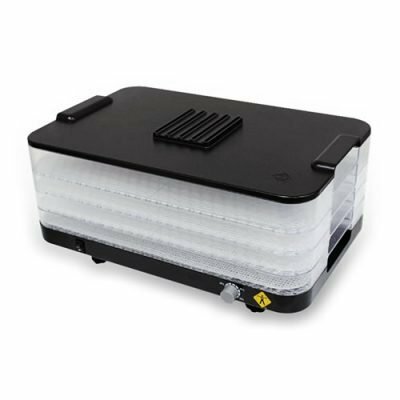 You can buy a dehydrator for as little as $50 and as much as several hundred. 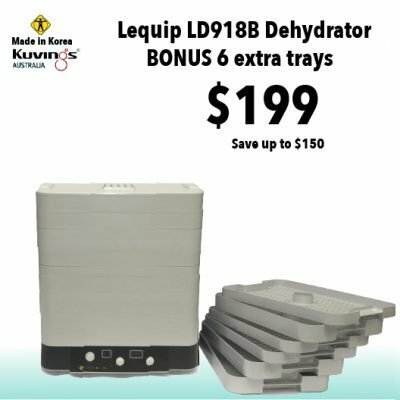 All dehydrators available at Kuvings Australia are made in South Korea by LeQuip and come with an unbeatable 7 Year Warranty!!! Massive Sale On Now. 50% Off. Limited Time!! !